People from all over the world travel to London every day for a chance to see the homes of the Royal Family. From kings and queens to lords and duchesses, the city of London has been home to some of the most prolific royal icons in history. The famous royal landmarks of London are dotted all over the city, from palaces to galleries. Our Hyde Park Hotels London will put you right around the corner from a number of these iconic sites, which is great news for you history hunters out there. To get you on the right path we’ve put together this useful guide to the city’s best royal buildings. It may seem like the most obvious choice but there’s a reason this epic building is one of the most popular royal landmarks of London. The sheer size of the famous palace will leave your jaw on the floor as you make your way around the outside to admire the intricate stonework. Be sure to take your camera along and snap some pictures of the Royal Guards who stand outside the gates in their iconic red uniform. 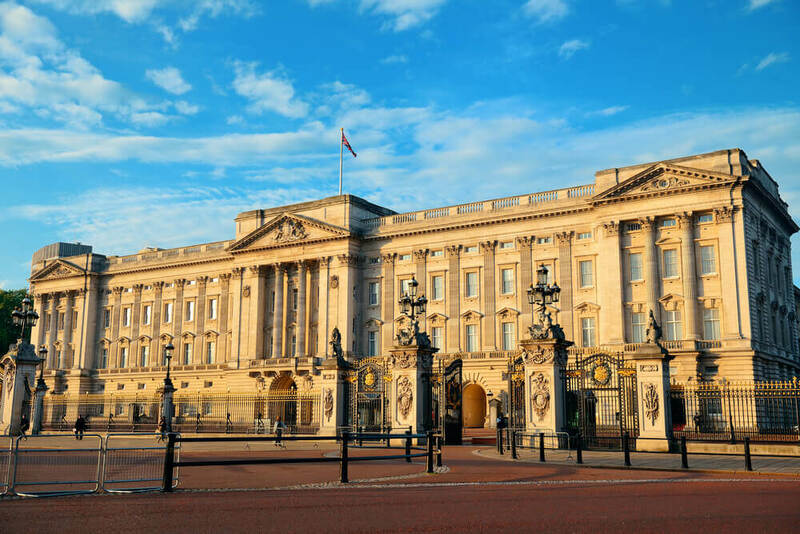 As the official residence of Queen Elizabeth II, Buckingham Palace is definitely one to tick off your royal London bucket list. Sat in the shadow of the famous Buckingham Palace you’ll find this gorgeous public gallery. If you’re a fan of art and culture, this royal art house is a must-see. For centuries it has been responsible for showcasing artwork from the official Royal Collection. With over 450 works on display at any given time, the gallery works on a rotational basis and regularly changing exhibits. Take a trip back in time through centuries of cultural and artistic history as you see some of the rarest artwork in the world. Take a trip to the northern edge of Kensington and you’ll find one of the city’s most famous venues. The beautiful entertainment hall has hosted some of the most famous performances in history from the biggest names in the entertainment business. It’s worth the trip just to see the building itself but if you’re planning a city break be sure to check out the upcoming events and plan a night at the historic Royal Albert Hall. As the centrepiece of Maritime Greenwich, the Old Royal Naval College is at the heart of London’s historic scientific society. The classical building is a perfect example of London’s iconic architecture. Stroll around the grounds and browse all of the hidden memorials and statues devoted to iconic figures throughout history. A trip to the Old Royal Naval College is a great experience for anyone interested in the Armed Forces as it was the official training ground for the Royal Navy from 1973. There is a lot of history to be uncovered at this amazing site so be sure to hop on the Tube and stop by on your travels through London. Share the post "London’s Royal buildings"